Perhaps the most iconic quote from the day was from Aarti who said “this bag of burning poop is not just mine. We’re all in this together.”For context – she was talking about how this industry is evolving and through teamwork and a healthy, supportive workplace, we have to have each other’s back. Franke, a long-time supporter of MAIP, mentioned how you don’t have to be the smartest in the room (he said he’s never the smartest person in the room), but you do have to be the most useful in the room. This panel really touched on the challenges of being a creative POC in this industry and being one myself, it was inspiring to hear from creative leaders who are actively making their workplaces mindful, open-minded, and inclusive. They also gave tips on the power of curiosity, being multiskilled, and how to jump to mid-to-senior level creative roles. One of the most important talks of the day was Get Your Mind Right: Workplace Trauma and Its Effect on Mental Health. We got to hear from Byron Young and Sophie Pauze from ThriveNYC, an organization on a mission to provide accessible mental health services for the people of NYC. We anonymously answered questions and saw live poll results and unfortunately, mental health is a huge issue in this industry. Turns out more than half of people have work-related anxiety, so we learned how make it something mental health something we can all talk about unapologetically. Our very own Darla Price, Executive Account Director, also hosted a session called The Real on Leadership: 6 Steps to Becoming a Boss People Want to Follow, where she talked to up-and-coming leaders and managers on how to make sure your team grows and learns alongside you. For the final workshop, Ronnie Dickerson, the VP of Talent, Engagement, andInclusion at Digitas (and executive coach) motivated us with her talk Executive Presence 101:Cultivating Your Inner CEO. What you need to be a good leader: GRAVITAS! We ended closing remarks, a photoshoot with Facebook (perks of MAIP events = so many headshot photoshoots), and lots of hugs. 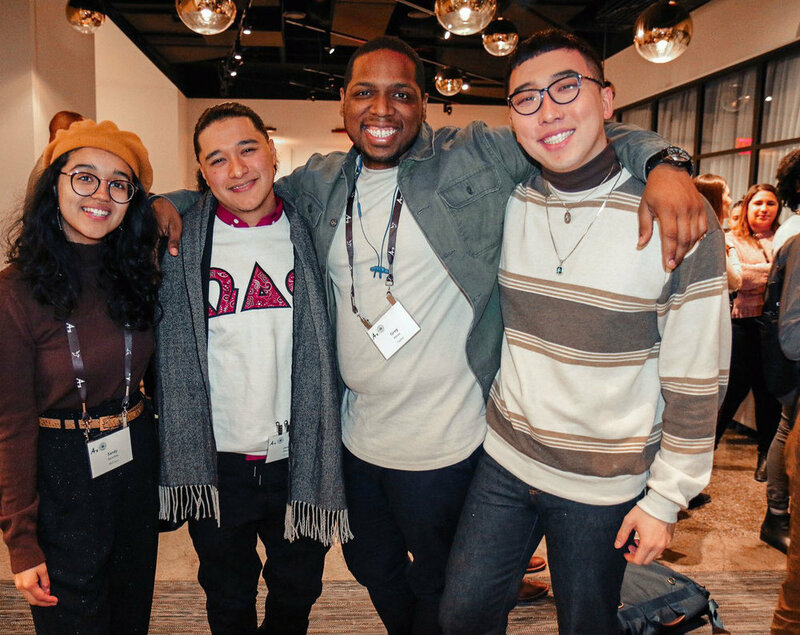 The 2019 MAIP Summit was a day to fully immerse myself with other POC, creatives, strategists, leaders, and changemakers. It’s a day I look forward to every year to reconnect with the MAIP Community and an event that I’ll continue to support and attend every year. If you’re interested in learning more about the MAIP Program or how to be involved in future MAIP events, feel free to email me at sandy@mccannxbc.comor email Alexa Agosto, Manager of Alumni Relations at aagosto@4as.org.